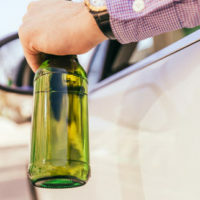 Any violation of Florida’s drunk driving laws means an automatic suspension of your driver’s license, so may not be able to legally operate a vehicle for a minimum 180 days – even for a first-time offense. However, If you are eligible and retain a skilled Florida DUI defense attorney to assist, a court could allow you to drive under a hardship license. This is a restriction placed upon your driving privileges, allowing you to drive “for business purposes only” (BPO). The advantage is that you will be able to get around, but there are some very important points to understand so you do not run into legal trouble. A general definition on restrictions states that drivers are prohibited from operating certain types of vehicles or must comply with other conditions when driving. Officials have the power to limit the time, purpose, and other factors related to driving, such that the restriction is necessary for the safety of all drivers. Another section allows the court to modify the automatic suspension of a driver’s license after a DUI conviction, putting on a restriction that enables the person to drive for business purposes only. The statute goes on to provide that BPO means any driving that is necessary for the driver to maintain a livelihood, for educational reasons, for church, and medical purposes. You are driving to buy food at a store, versus going out to eat. Your doctor has suggestions for dealing with back pain, so you head out to get a massage for medical purposes. Ultimately, it is a matter of interpretation on whether these examples of driving fall within the BPO restrictions. Never drive after you have had even a sip of alcohol. Use common sense when you drive. If you are going shopping for food, have a list on the way to the store and make sure your bags of groceries are visible. Take the most direct route to your destination, so police cannot accuse you of driving for invalid reasons. If you have multiple destinations, have a printed itinerary or use the calendar function on your cell phone to show your plan. Essentially, the more proof you have to show that you are driving in compliance with a hardship license, the less likely it is for you to run into problems with your BPO restriction. For more information on hardship license and BPO restrictions, please contact attorney Kevin J. Kulik. We can schedule a consultation at our Fort Lauderdale office, where we can offer advice on your options.